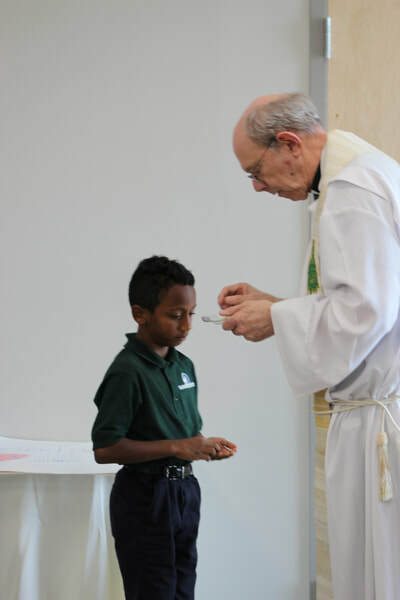 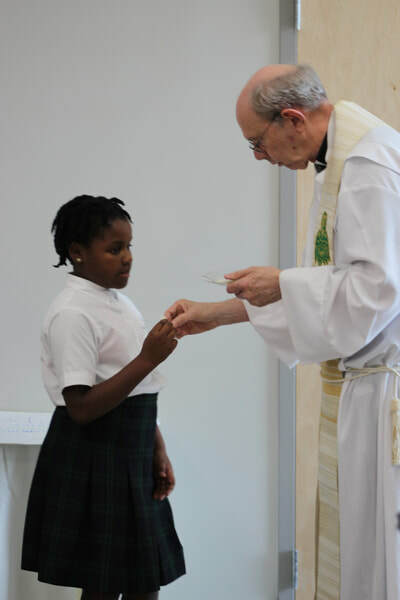 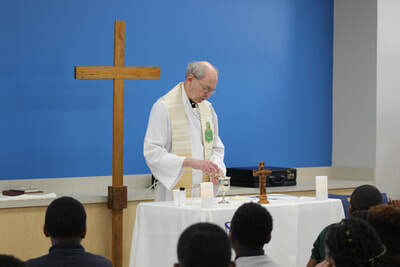 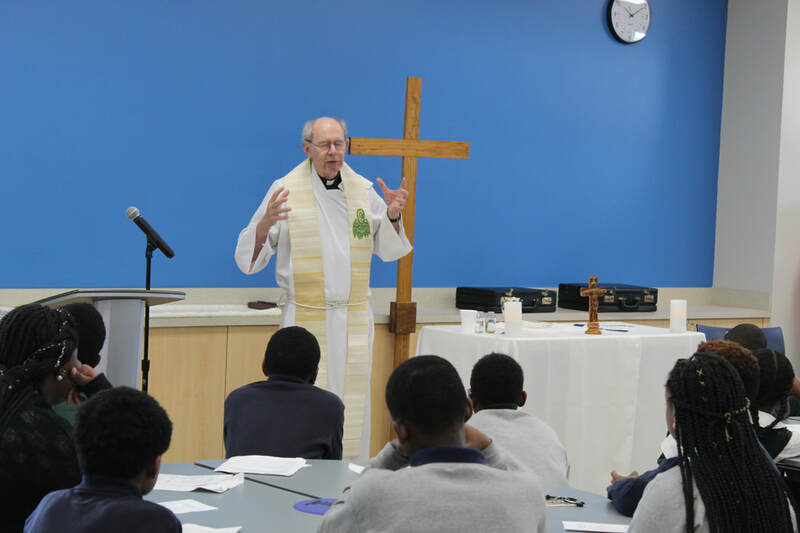 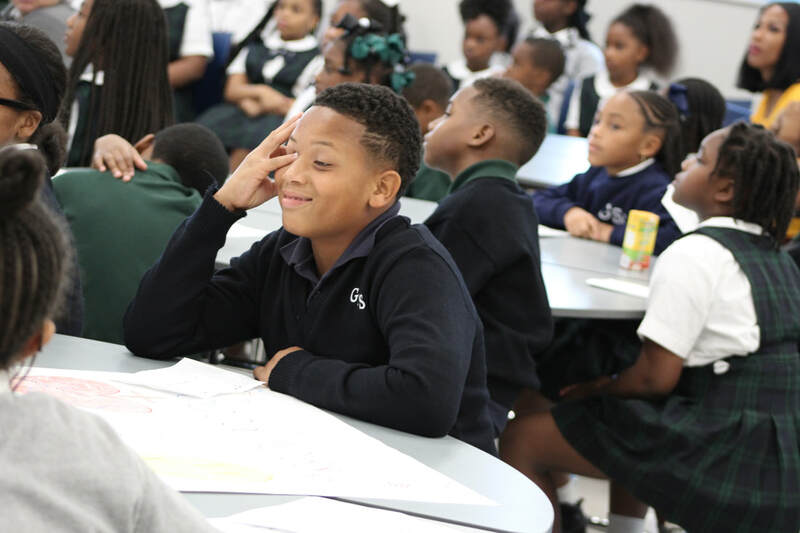 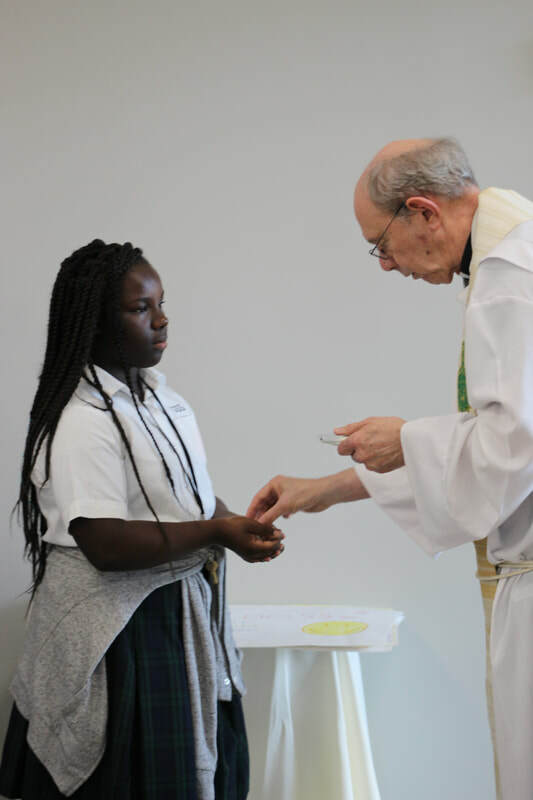 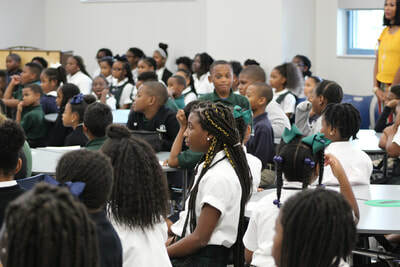 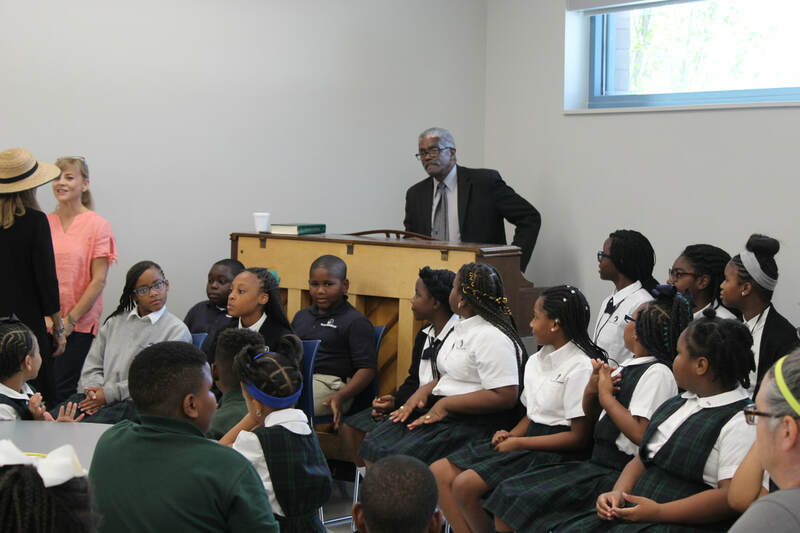 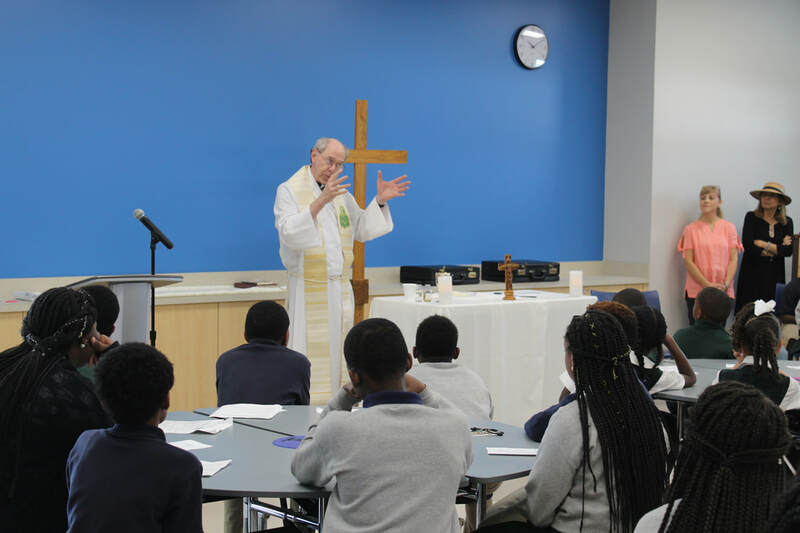 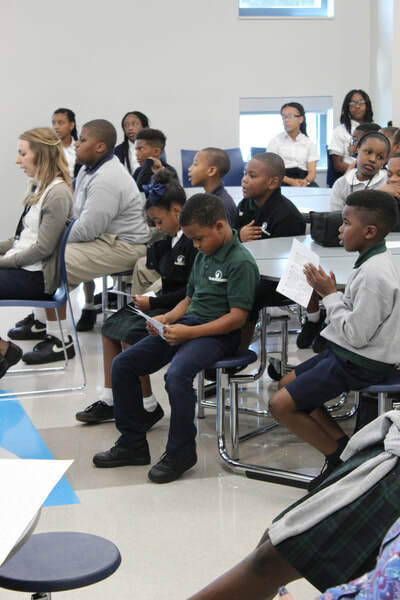 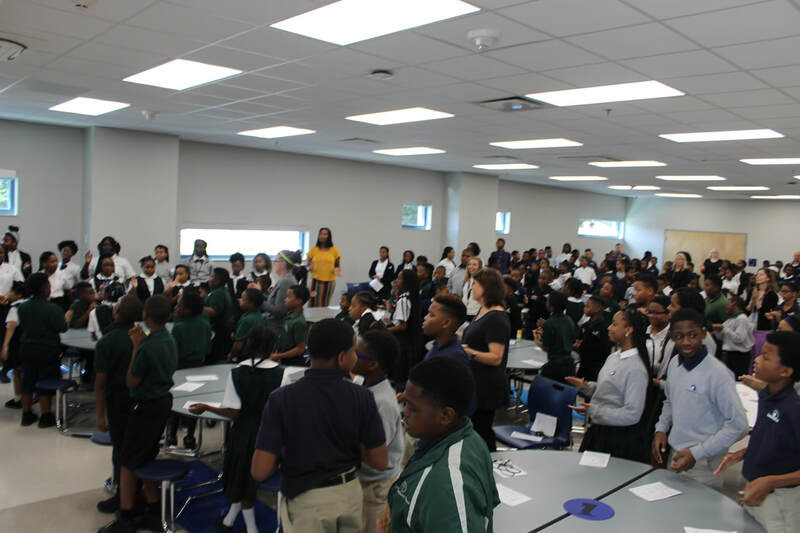 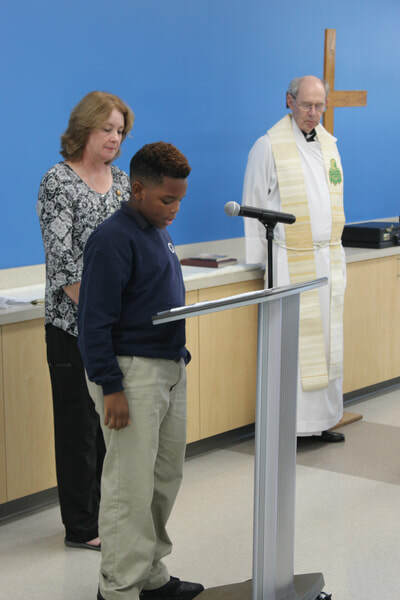 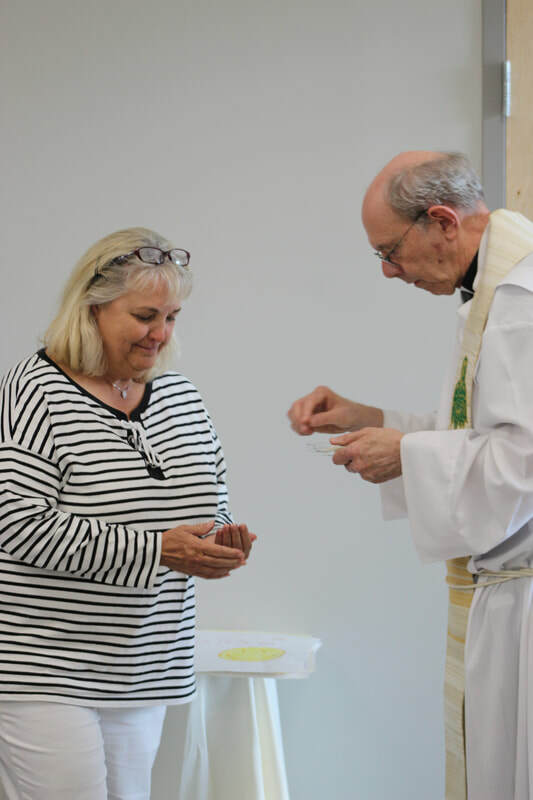 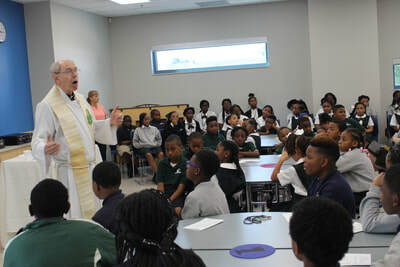 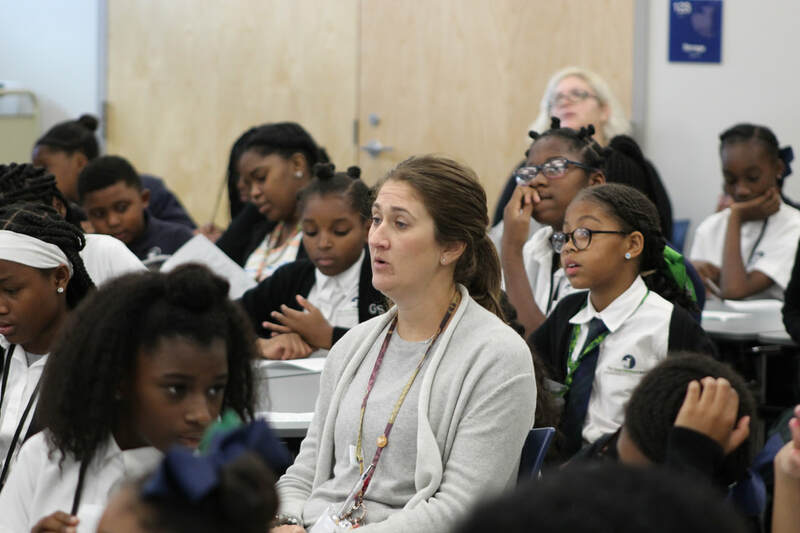 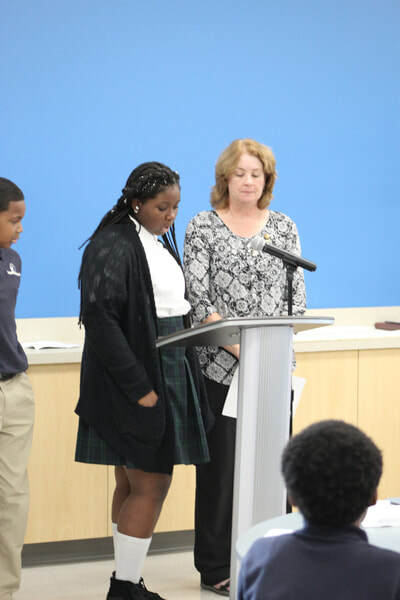 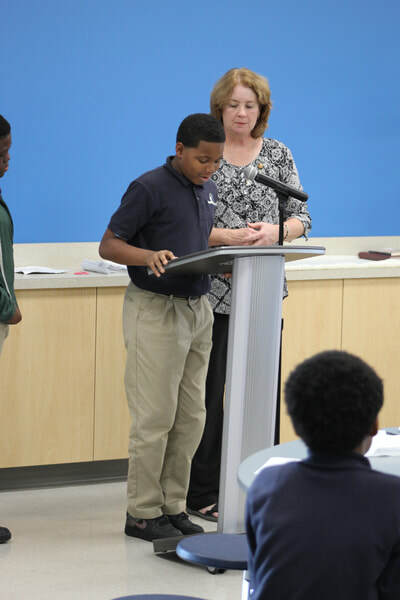 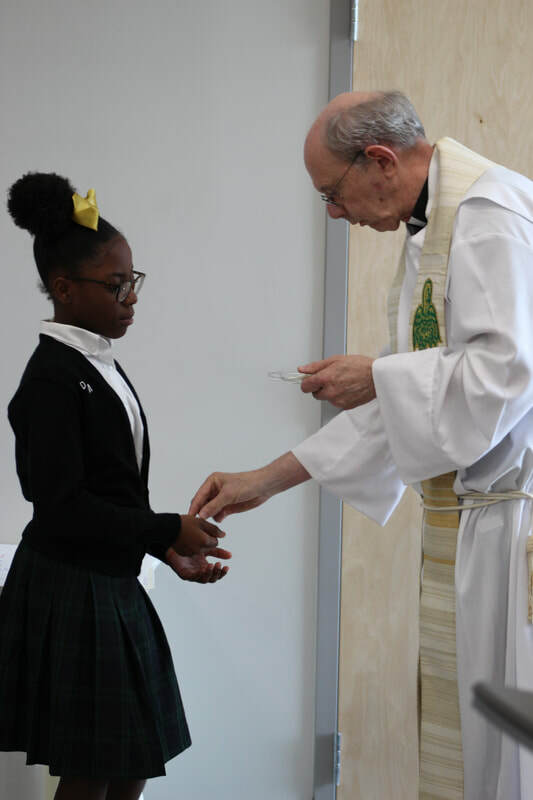 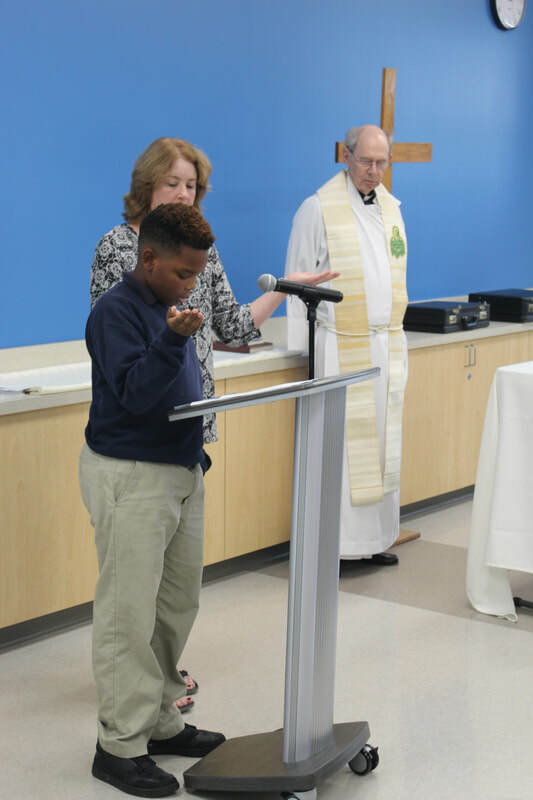 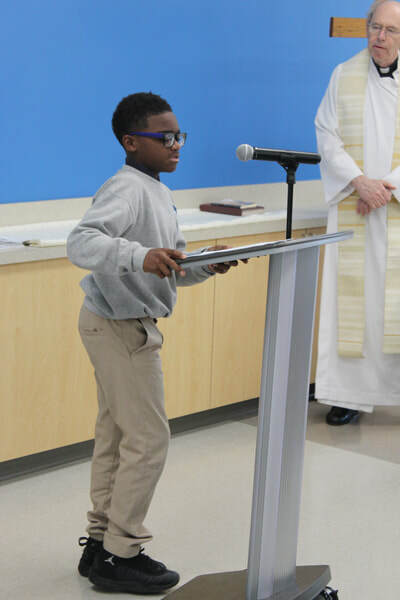 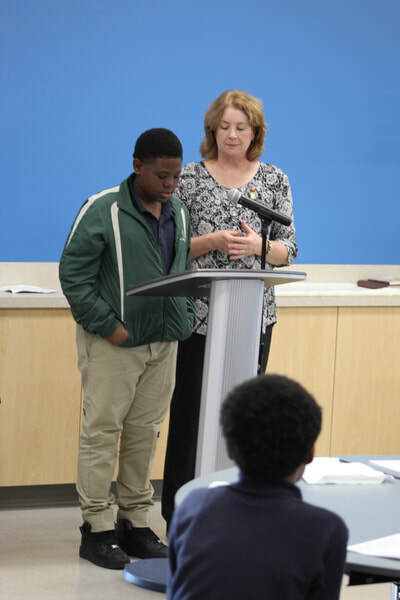 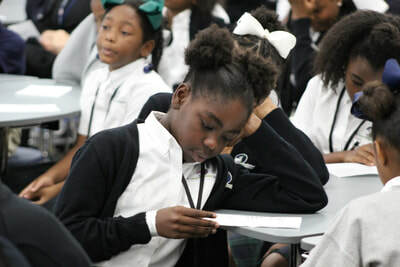 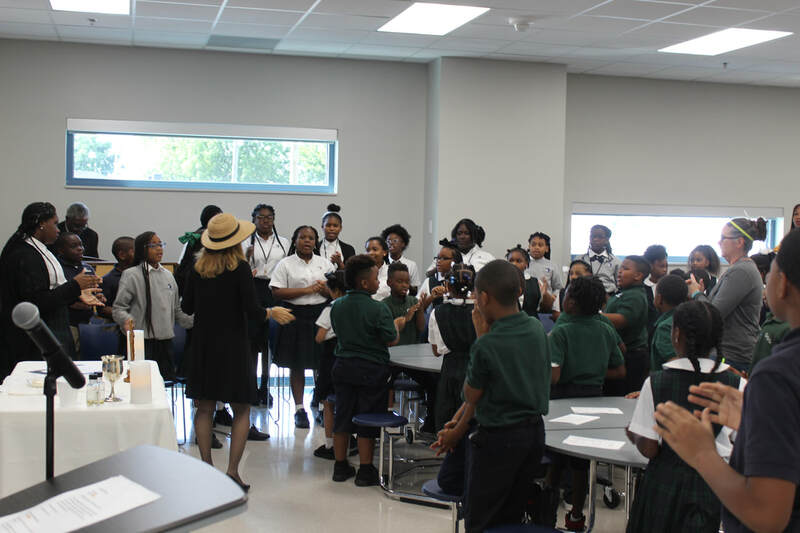 Students in grades 2nd - 7th celebrated their first Back-to-School Mass in the new Agriculture Street campus. 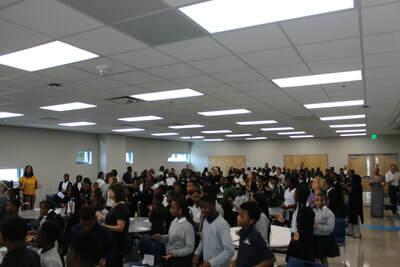 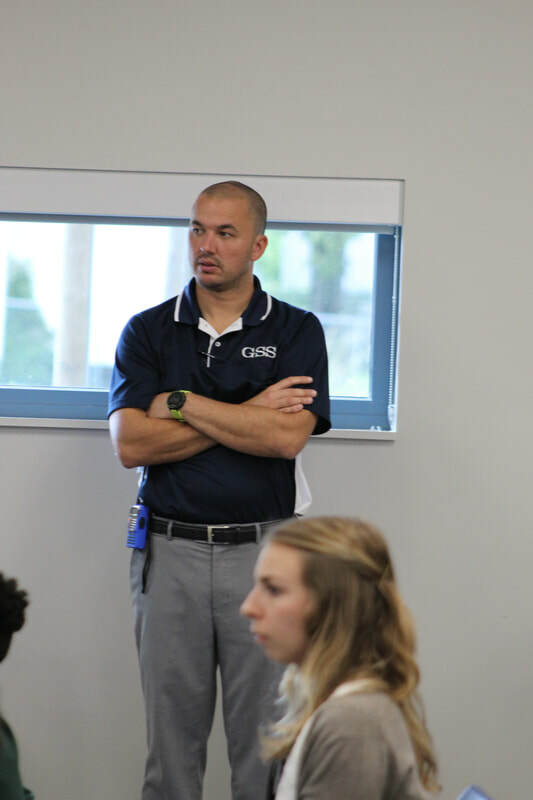 With the large cafeteria, GSS now has a large enough space to worship together. 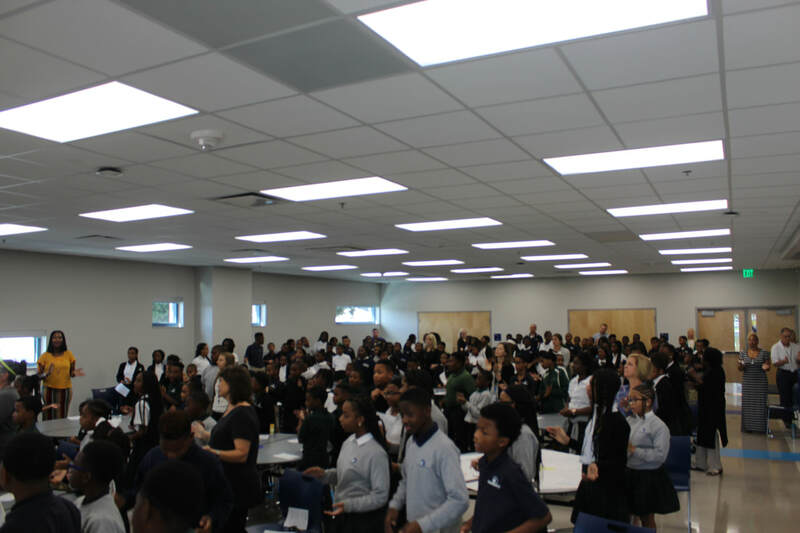 The theme of the Mass was “We are One Body in Christ, One in God’s Family.” Fr. 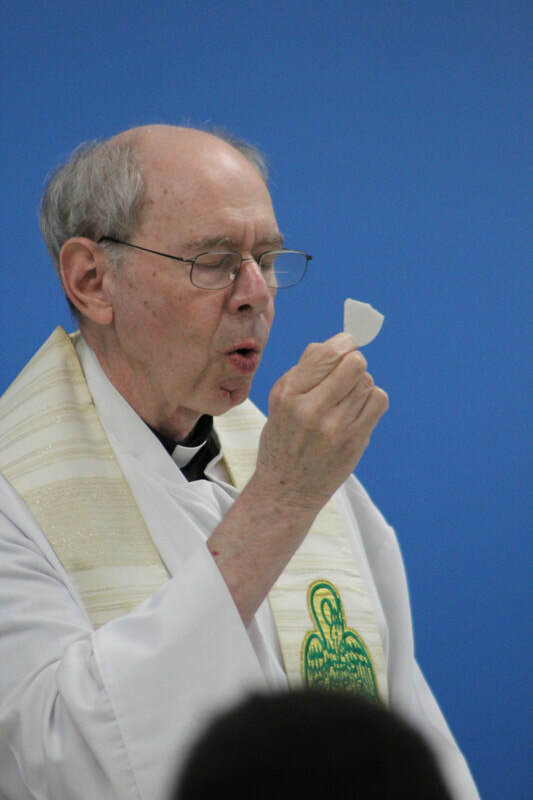 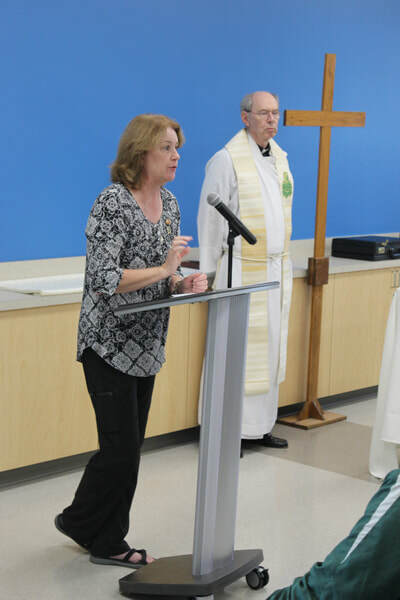 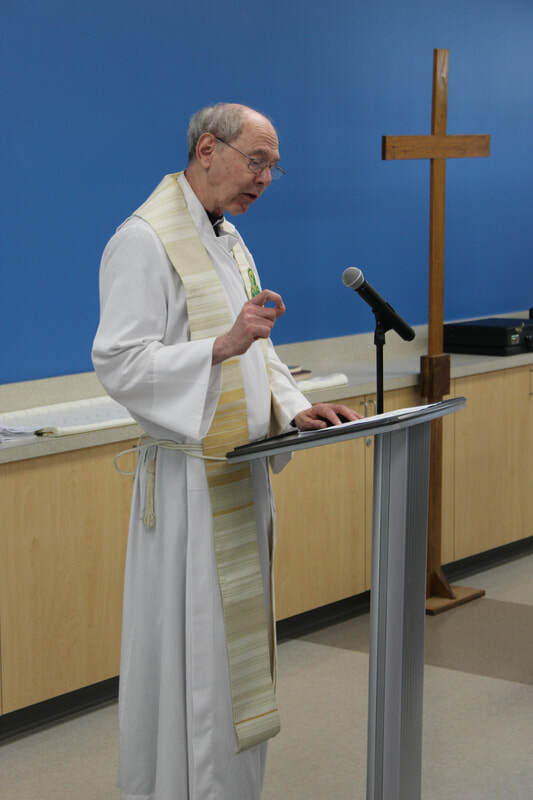 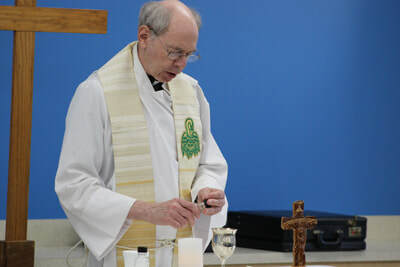 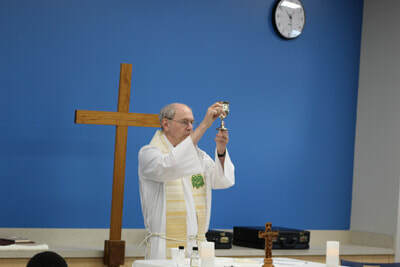 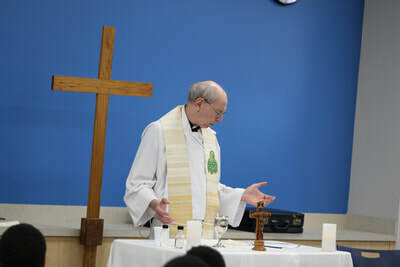 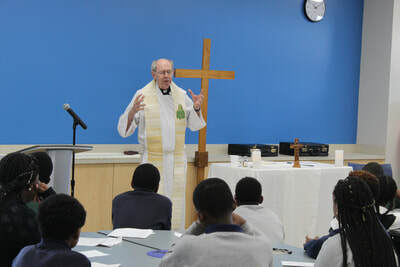 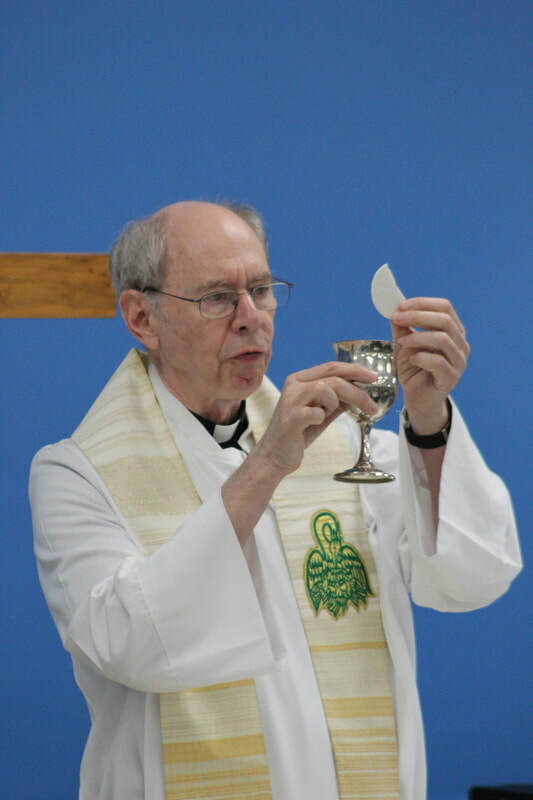 Anthony McGinn, S.J., pastor of Immaculate Conception Church, celebrated Mass. Our new school choir, under the direction of teachers Mrs. Giambelluca and Mrs. Jones, performed. They were accompanied by pianist Mr. Dwight Fitch and chorus director Mrs. Connie Fitch. 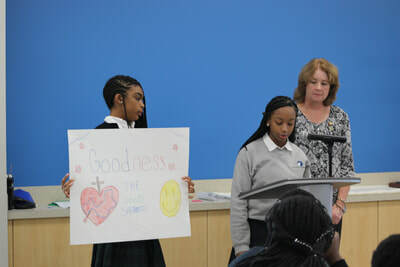 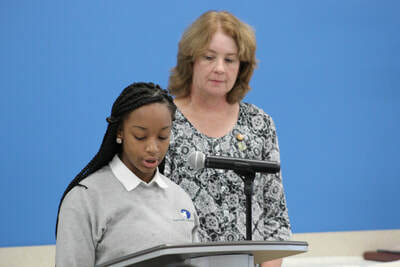 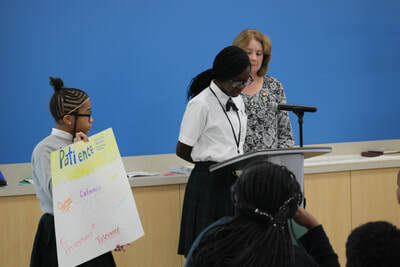 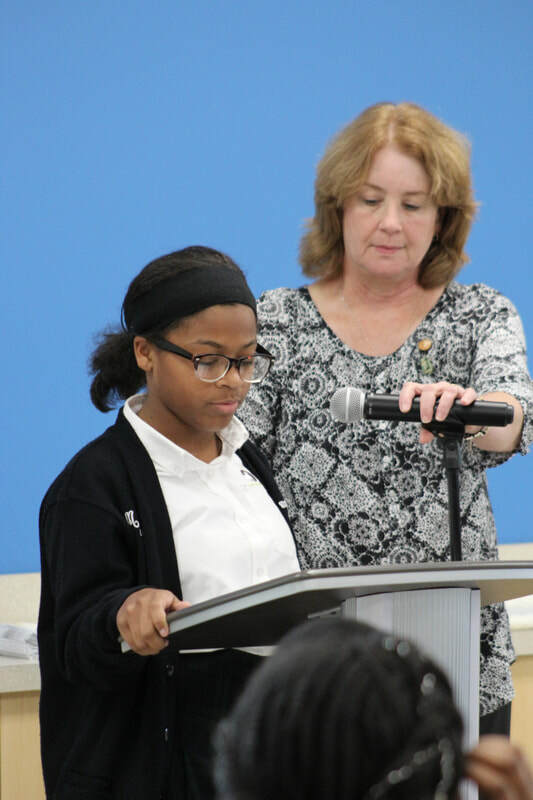 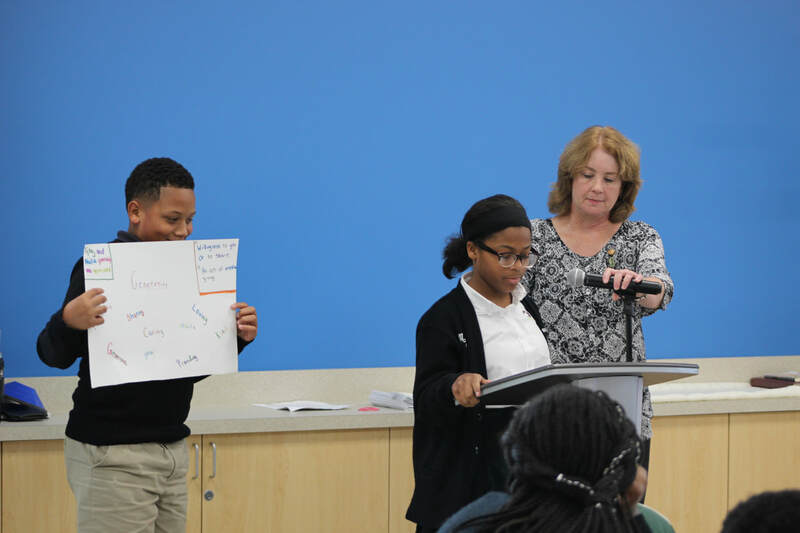 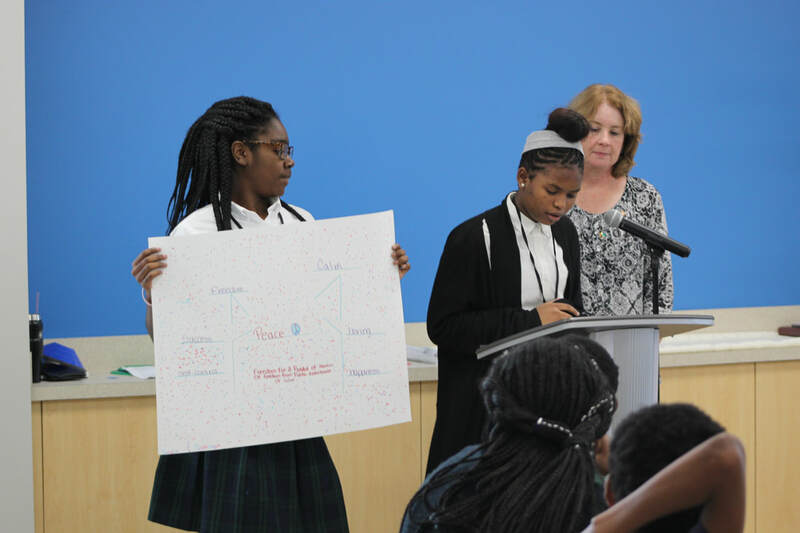 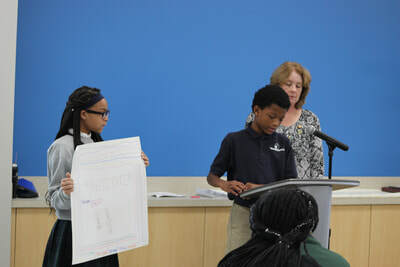 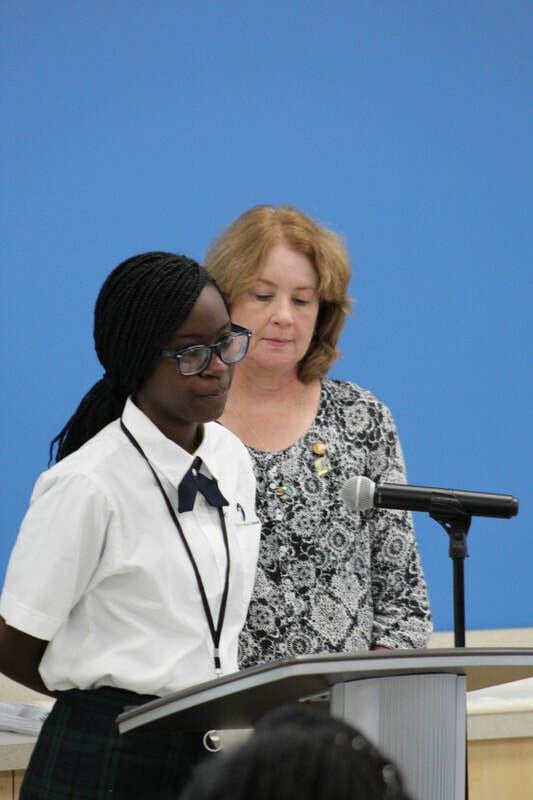 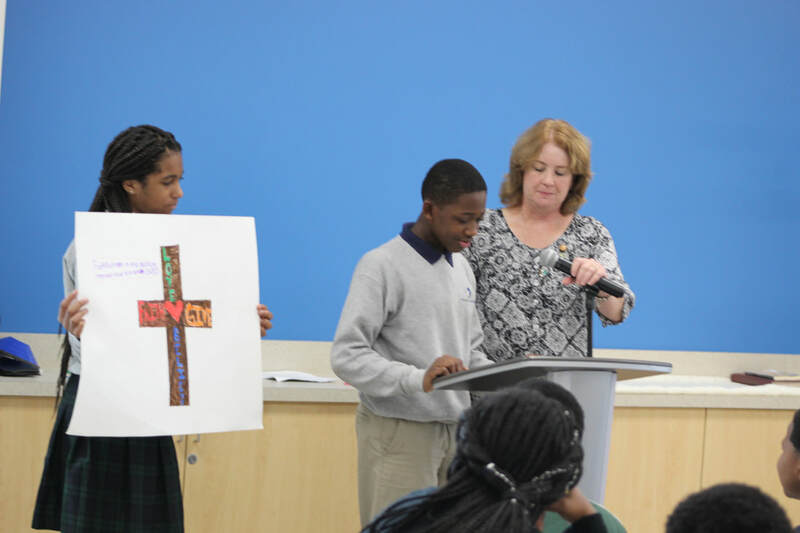 The 7th graders participated in the Mass readings and prayers, and offered words about the gifts of the Holy Spirit on colorful posters they created.